Think about modern technologies that have changed our world. Airplanes, electricity, cellphones, the internet… All these breakthroughs had one thing in common: they were born into a world that wasn’t ready for them. When cars were invented, roads were muddy paths designed for horses. In other words, the automobile was destined to fail, until an ecosystem was built to support it. In 2013, we discovered Bitcoin. Blockchain technology struck us as a new industrial revolution, which would usher in a wave a wave of innovation. But there still remained many hurdles preventing people from understanding and using this technology. Information found online was technical, platforms were difficult to use and shady. We saw that there was a significant need for education and an untapped market opportunity. 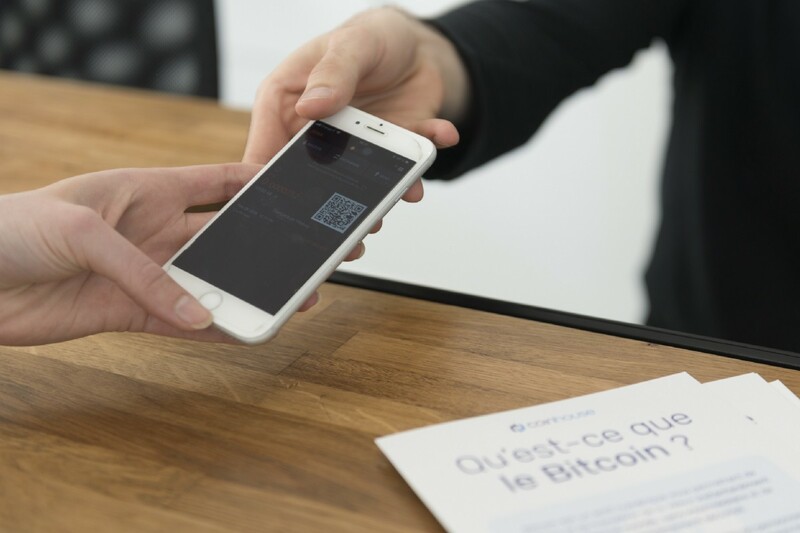 In May 2014, we opened a physical space in Paris coined La Maison du Bitcoin (The House of Bitcoin) hoping it would pave the way for Bitcoin’s widespread use. We started democratising Bitcoin within the store where people could find technical and non-technical introductions. We helped our visitors experiment with the technology and were the first in Europe to buy and sell bitcoin both online and offline. No one understood what we were doing, people thought we were crazy. But the “La Maison du Bitcoin” brand helped us to reach the general public and make the case that this technology wasn’t illegal or dangerous, but was in fact transparent, trustful, efficient and decentralised. Our first meetups in 2014 drew no more than 10 people, most of whom were software engineers. Fast forward to 2018, where a single meetup in the town of Nantes gathered more than 200 people, mostly non-techies. Each year, the number of people coming through the door grew. We organised many events attracting more people, more press, and even more institutional actors. We witnessed this evolution firsthand thanks to our physical presence at 35 rue du Caire, Paris. We saw the geeks, the thugs, the gamblers, the risk-takers, the VCs, the public, the technology-driven investors, the revolutionaries, the young and the old, the bankers and now even the regulators come in through our door. We’ve helped the French cryptoasset ecosystem grow by providing services, education and a dedicated space for cross-fertilisation of ideas. Disruptive blockchain companies such as Ledger, Acinq and Stratumn were born at La Maison du Bitcoin. The hacker ethos was prevailed back then. During that time, new and interesting blockchain protocols emerged such as Ethereum. The use cases are numerous: decentralised applications (dApps), smart contracts, decentralised autonomous organisations (DAOs), initial coin offerings (ICOs). More money and more talent flooded into the industry, helping it mature. The cryptoasset and blockchain revolution experienced a boom cycle in 2017 thanks to an increase in press coverage, institutional interest and positive government oversight. Bitcoin and blockchain is now on the slope of mainstream adoption. Unfortunately, while a lot of people have heard about it, many still don’t fully understand it. We’ve just scratched the surface of what’s possible with blockchain and cryptoassets. As the ecosystem grew, our services expanded. We offered more to our customers than just buying and selling bitcoin. Our platform became more robust, our process more professional, and our team more knowledgeable. We’ve been hard at work building a new set of products to share with our customers all over Europe. 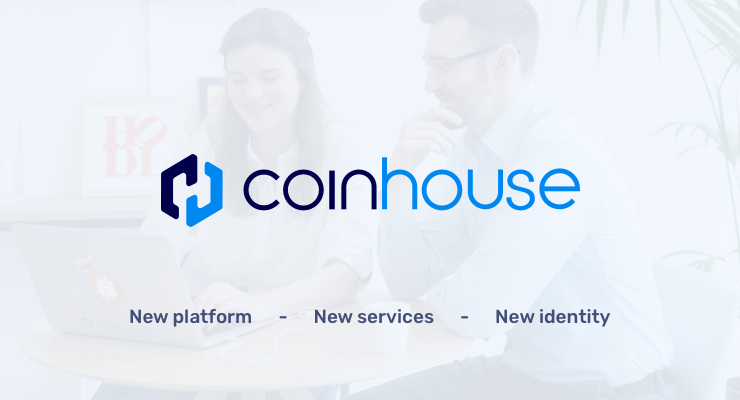 La Maison du Bitcoin is now rebranding as Coinhouse with the ambition of becoming the European leader for cryptoasset investment. The physical space at 35 rue du Caire is now the Coinhouse Store. 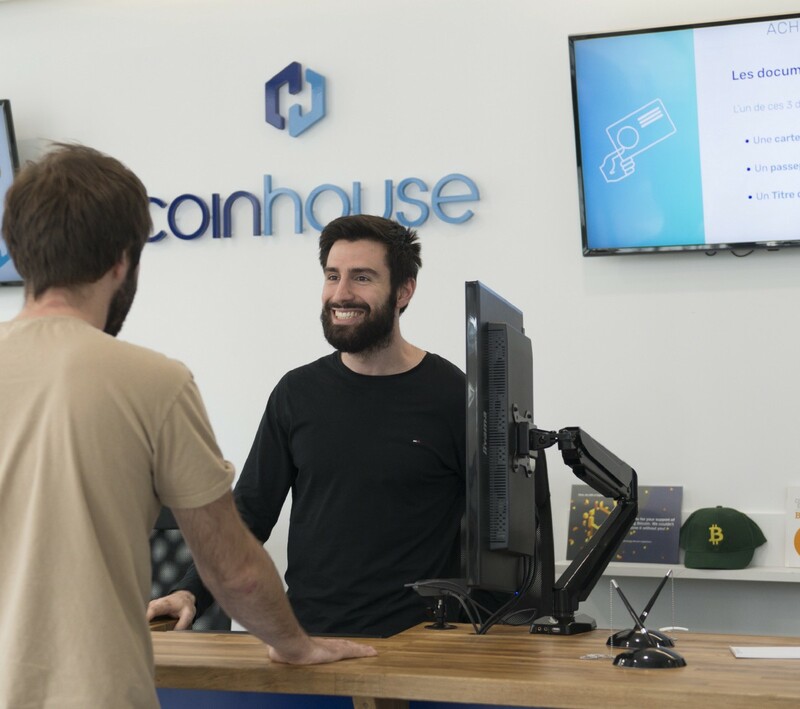 Private and public institutions have shown a growing interest in opening corporate accounts at Coinhouse to buy and use the cryptoassets we deliver. As such, we will continue to help corporations understand these new disruptive assets through our Corporate Education program. As individuals and institutions continue to enter the cryptoasset market, we are committed to building the products and services that help them navigate the complex world of cryptoasset investments. 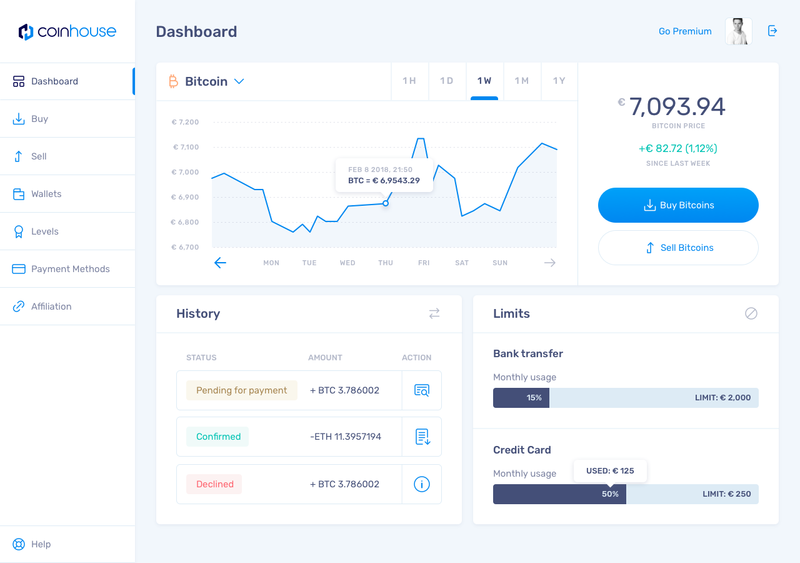 We will be releasing the beta of our new platform during the summer. We are looking for your feedback to continually improve your experience on our platform. The tokenization of the financial industry is underway. We are paving the way for the public to access and use this new financial ecosystem. At Coinhouse, we are crafting the ideal investment journey for our clients, online and offline. We are always looking for talented people who share our vision. If you are interested in working with us, please check out our careers page.